“Phantom Detective” was inspired by the Korean folk tale “The Story of Hong Gil-dong,” according to the film’s director Jo Sung-hee. In the tale, the main character is a Robin Hood-like antihero who exercises his own brand of vigilante justice by stealing from the corrupt rich and redistributing his spoils to the poor. 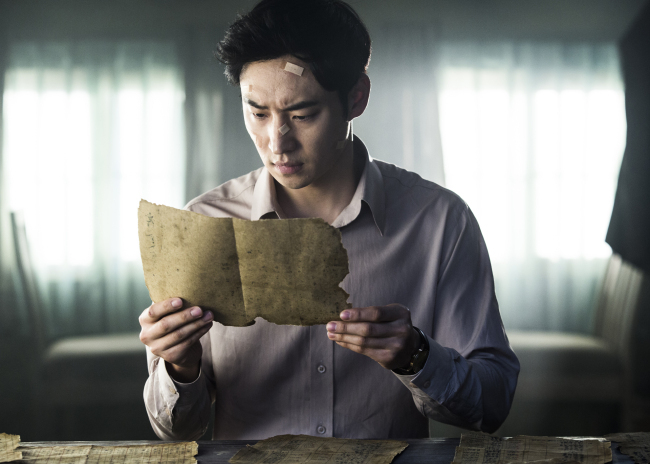 The lead of “Phantom Detective,” also named Hong Gil-dong and played colorfully by actor Lee Je-hoon, is something like a cross between the old folk hero and Sherlock Holmes. Like the legendary British character, he too is an uncommonly intelligent private detective with limited social skills and a tortured past. “I wanted to create a Korean version of an idiosyncratic hero, like James Bond,” said Jo at a press conference for the movie last Monday. “This film should be seen as the birth and beginning of that hero,” he said, adding that he hopes to make a trilogy if “Phantom” is successful. The film is an exciting, funny and aesthetically well-designed flick that fuses comedy and thriller. The character Hong is propelled by a desire for revenge on a man named Kim Byung-deok who killed his mother. Meanwhile, Kim, who possesses the secrets to Korea’s most powerful underground organization, has been kidnapped by an unknown group with vested interests. Hong arrives at Kim’s house only to discover that Kim’s two young granddaughters Dong-yi and Mal-soon, played by child actresses Noh Jung-ui and Kim Ha-na, respectively, have been left behind. Hong is initially repulsed at the sight of his worst enemy’s progeny, but takes them along on his quest to find and kill Kim. 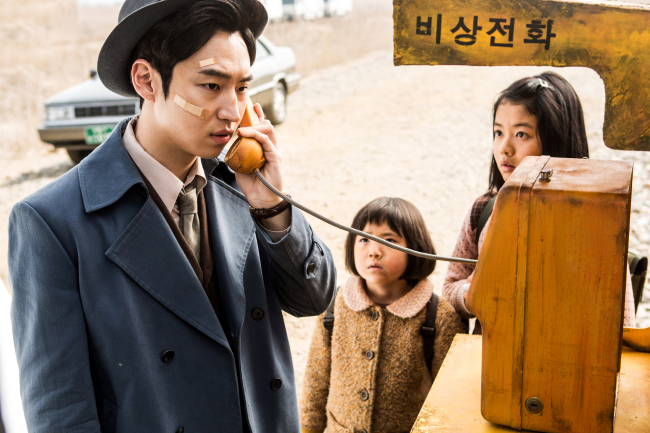 In the course of their journey, Hong unwillingly becomes attached to the sweet and unassuming children, who think Hong is a friendly figure helping them reunite with their grandfather. Throughout the film, Hong discovers the powers who have taken Kim, his intertwined relationship with them, the truth behind his mother’s death and an archenemy who rivals him in both intellect and physical strength. There are numerous twists and turns to the story, which on the whole provides a dynamic, though often fragmented, account of an adventure. The film is set in an unspecified past, and the cinematography is impeccably fairy-tale like, with picturesque towns, vintage cars and warm lighting. Actor Lee is outstanding in his portrayal of the complex character. He skillfully brings together Hong’s superhuman intelligence and emotional flaws, creating a morally ambiguous antihero who is willing to employ methods as cunning and ruthless as those of the established powers he is fighting. At the same time he is irresistibly charming, clad in a billowing trench coat and fedora, and with a boyish affinity for caramels. Kim Sung-kyun, who gained renown for his role as the loud-mouthed university student Samcheonpo in the TV series “Reply 1994,” is chilling as the cold-blooded villain here. Go Ara makes an appearance as the wealthy heiress Hwang who runs the detective agency Hong belongs to. The film is set for release on May 4.